Jessica brought home a healthy size package of ground bison meat and a huge package of mini-hamburger buns. 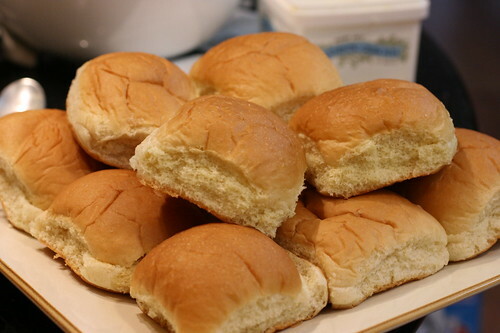 I immediately thought “those look like White Castle buns” — sliders had to be made! I’ve never tried to recreate those little, yummy burgers, but here’s the set of criteria I had in mind (from watching the White Castle cooks make them). Relish is the finishing touch.